Meanwhile Donald Trump, who in 2016 said “I love WikiLeaks” when they released Hillary Clinton’s classified emails, told reporters he has no opinion on the DOJ’s charges against the whistleblower. 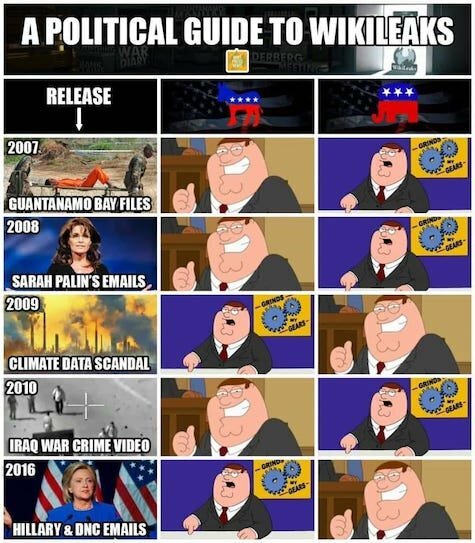 While out for a walk with my dog, I unpacked the facts and shared my thoughts on all this in more detail, including the role of Assange in the propaganda machine. I also discussed Snowden and Manning, Cypherpunks and the origins of Bitcoin. By the way, did you know the IMF just granted a predatory loan to the Ecuadorian government? Sunlight is the best disinfectant, and mankind’s biggest enemies are The State and Central Banks. Since 2009, The Dollar Vigilante has, through our expat network and publications, promoted freedom and informed people worldwide on how to survive and thrive during the ongoing financial and political collapse. Be sure to subscribe to our YouTube channel (HERE). Of course, we’re also on BitTube , BitChute , DTube , and Minds so follow TDV on all decentralized and blockchain platforms. For those of us who recognize statism as the problem, perhaps a better motto might be “We close governments.” After all, that’s exactly what the crypto-anarchy revolution is all about.